Description Race fast bikes of the future. 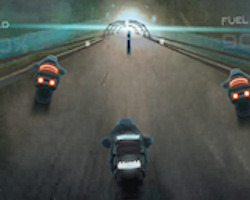 Many race tracks to choose from, buy new upgrades for your bike and avoid all the obstacles. Controls Arrow keys or mouse.